The illegal crossing of the state border of Ukraine with intention to do harm to the interests of the state is made a criminal offence starting from November 10, 2018. If a person who is banned from entering Ukraine crosses the state border of Ukraine or representatives of Armed Forces or other law enforcement agencies of the aggressor state cross the border not at the crossing border points or without respective documents or with documents containing untrue information, it is also a criminal offence. "These offences would imply the imprisonment for the period of up to three years," the press service of the State Border Guard Service of Ukraine reported. Person who repeatedly committed this office or in a group will be detained for the period from three to five years, and if the offence is committed using violence or weapons, the imprisonment term will be from five to eight years. 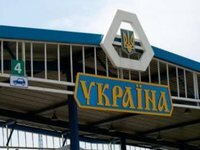 The State Border Guard Service also said that the administrative liability provided for under Article 204-1 of the Administrative Offenses Code of Ukraine remains with regard to the illegal crossing of the state border of Ukraine by "ordinary" migrants or trespassers.